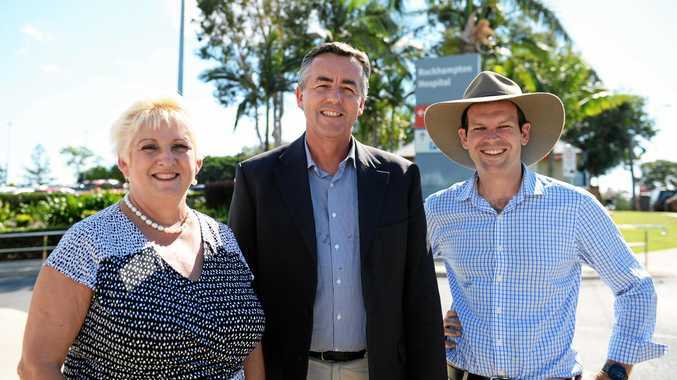 IT SEEMS everyone has story to tell about trudging up the hill to the Rockhampton Hospital while trying to find a park in the hot sun - even federal cabinet minister Darren Chester. Member for Capricornia Michelle Landry, speaking at yesterday's official opening of the $25m Rockhampton Hospital Carpark, shared the story of how she convinced the (then) Minister for Infrastructure and Transport to support her bid for $7 million in carpark funding during the 2016 election. She had asked Mr Chester to come up for a look at the carpark issue after previous lobbying with government heavyweights had fallen largely on deaf ears. His visit just happened to be on a hot day and Ms Landry asked him to experience the carpark battle first hand, on foot. She said the structure was one of the most important things she'd ever lobbied for. "Back in 2013 when I first got elected we put out some surveys and everything kept coming back, 'the carpark at Rockhampton Hospital'. Ms Landry's success coincided with a Morning Bulletin campaign for government funding for the carpark when the paper challenged federal candidates to help build this vital piece of much-needed public infrastructure. Ms Landry recognised the Bulletin's role in the carpark's construction as "her partner in crime” as we shouted out the frustrations of a long-suffering community. The new four-storey carpark, which opened for use earlier this month, boasts 597 parking spaces providing secure, affordable on-site parking for staff, patients and visitors to significantly reduce congestion in neighbouring streets and help people make it to appointments on time. 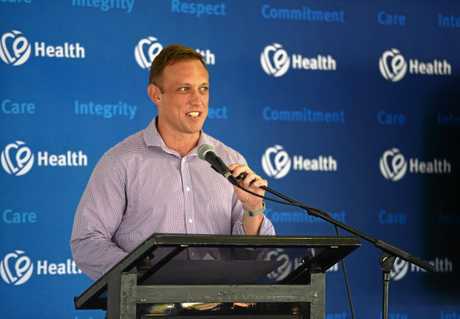 Queensland Minister for Health Steven Miles said the carpark, which can be upgraded with two further levels to meet growing demand, was already a proven success with 2572 users in the first week and 2909 in the second. 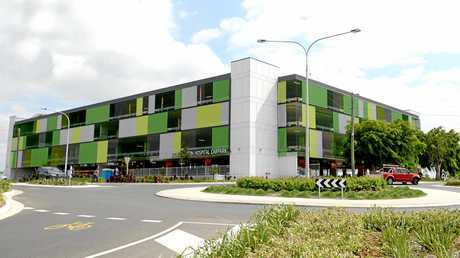 The role of former Rockhampton MP Bill Byrne in securing $18.25m for the project, with no impact on the health budget, was also acknowledged. 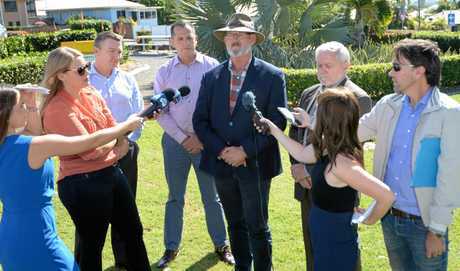 Current Rockhampton MP Barry O'Rourke said the cost of private hospital car parking was an issue across the state however as this carpark was government owned they could keep prices as low as possible.